Could Huawei rise to be an industry leader in 2013? 2013 has not even started, and Huawei is already making bold statements about a smartphone to best the competition in the second half of next year. German site BestBoyZ took a trip to China to meet with the company, where Huawei Chief Marketing Officer Shao Yang revealed that there are big plans for late 2013. "If our R&D people have not made a mistake, then we will have something in the second half of 2013 that's better than Apple and Samsung," he told BestBoyZ. Huawei arguably would not be the first manufacturer to best either Apple or Samsung in terms of raw smartphone tech. However, the two companies have maintained a steady lead in the smartphone race when it comes to marketshare. In Huawei's more immediate plans, the company also confirmed to BestBoyZ that at CES 2013 it will unveil a 5-inch smartphone with a 1080p display. If the rumors prove true, Huawei will be joined by 5-inch full HD handsets from Samsung, Sony, LG, and ZTE at the show. 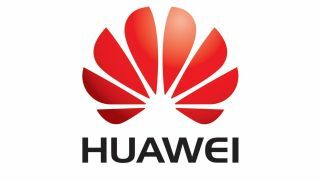 Huawei also confirmed to the German site that it will announce a Windows Phone 8 device at CES 2013, which has often been rumored as the Huawei Ascend W1. As for Huawei's surprise in the second half of 2013 to beat Samsung and Apple, let's not forget the rumored 6.1-inch Huawei Ascend Mate "phablet." We'll have to see whether it will has what it takes to challenge Samsung's rumored 6.3-inch competitor, the Galaxy Note 3, and whatever new device Apple inevitably will have in store.